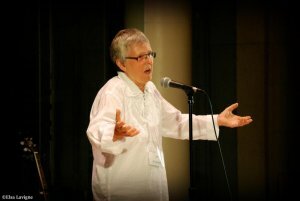 Storytellers of Canada - Conteurs du Canada wishes to extend our heartiest congratulations to Jan Andrews on her recent appointment as a member of the Order of Canada. Jan is a gifted storyteller and author, and was the 2013 recipient of SC-CC's Storykeeper award. She is also the founder of the StorySave Project, and a founding member of SC-CC. Her appointment is very much deserved, and SC-CC could not be more proud to call her a member. Learn more about StorySave here. Jan's own StorySave recordings can be found here.